The Winter Wonderland Set! | Los Angeles Baby & Kids Photography - Los Angeles based photo studio, The Pod Photography, specializing in maternity, newborn, baby, first birthday cake smash and family pictures. Introducing the all new Winter Wonderland Set! 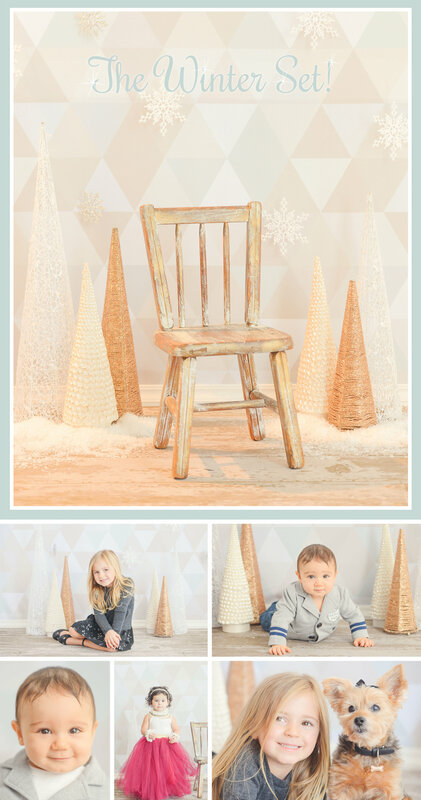 The Winter Wonderland set is the perfect backdrop for adorable photos of the kids! 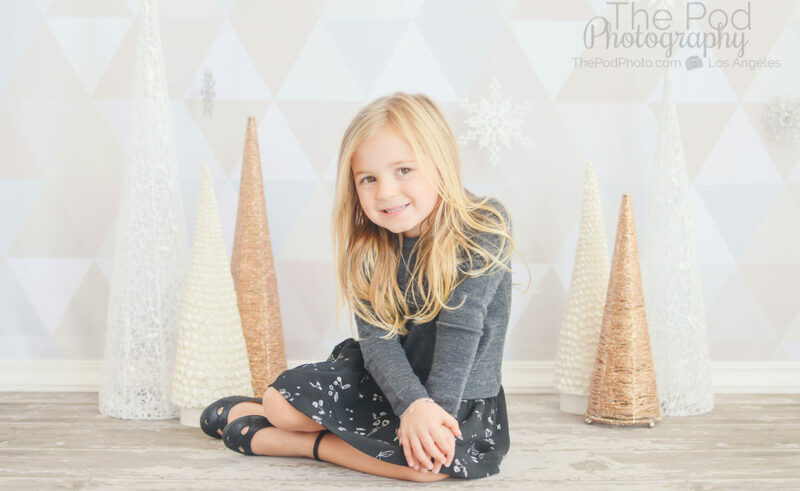 Let your little one show off their winter style in any of our boutique outfits that we have at the studio, or bring your own holiday outfit. Call us at 310-391-4500 to schedule your session! Limited edition set is available through December 17th, 2016. Sessions are $350 weekday / $450 weekend for children 6 months and older. Packages start at $995 after the session. Give us a call at 310-391-4500 to capture your Holiday photos! Our Los Angeles Portrait Studio specializes in family, baby and kids photography as well as newborn and maternity portraits. We photograph families in our Los Angeles studio as well as on location at beautiful nearby parks, beaches and other popular locations around Los Angeles that you can see on our website and in our photo galleries. Every photography session is customized to your taste and style. Give us a call today to schedule your consultation and meet your photographer! Want to see more? Follow us on our Blog, Facebook, Instagram and Google+ to see what we’ve been up to, or explore our YouTube and Pinterest Boards for more inspiration!